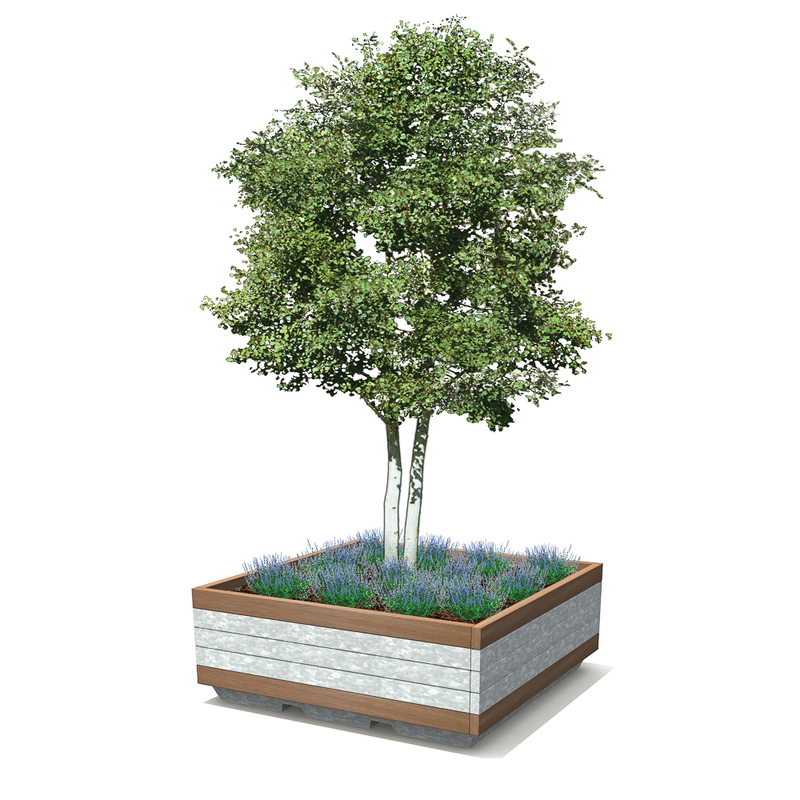 Rough&Ready Basic Planters consist of a metal structure, finished with solid R&R hardwood beams measuring 7×15 cm - 3”x6” along the top and bottom edges. These beams are made from 100% FSC® hardwood or black recycled plastic (All Black). These R&R beams can be combined with galvanized steel, CorTen or RAL coated plate construction. 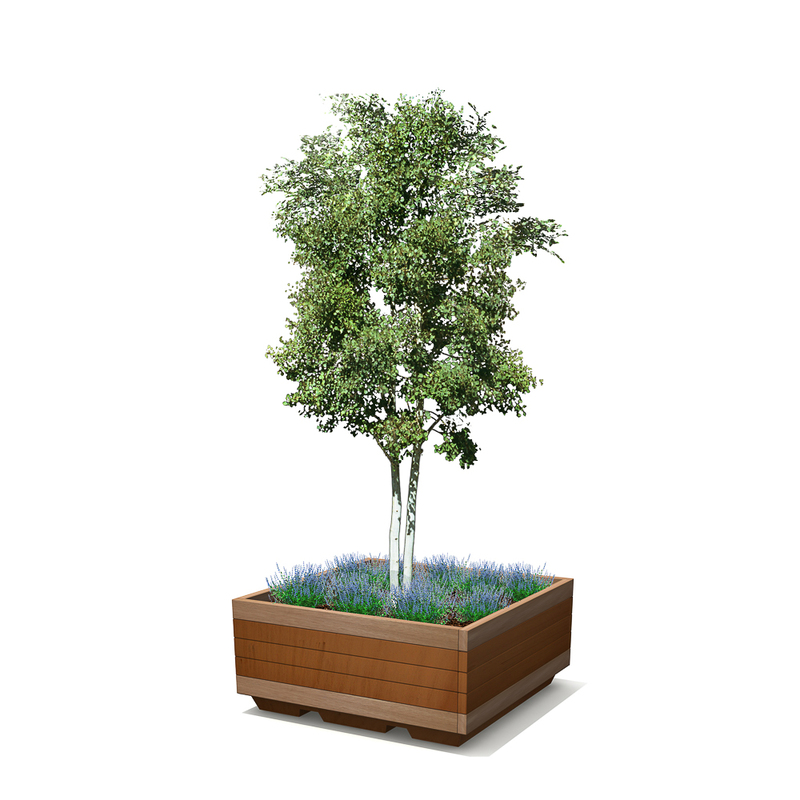 These R&R Basic Planters can be optionally fitted with the Treetec® Bottom Up system. 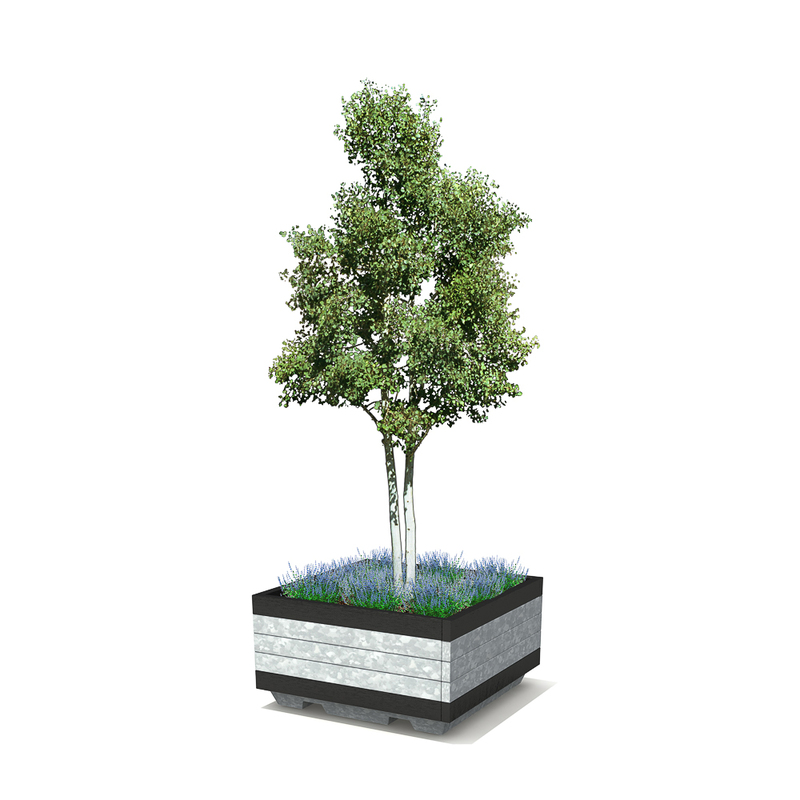 The Rough&Ready Tree Planters are part of our successful R&R Range, which consists of over forty different products. The coherence of the various Rough& Ready products is unprecedented, in part due to the use of a single, substantial modular wood size, rigorous spacing and consistent detailing. 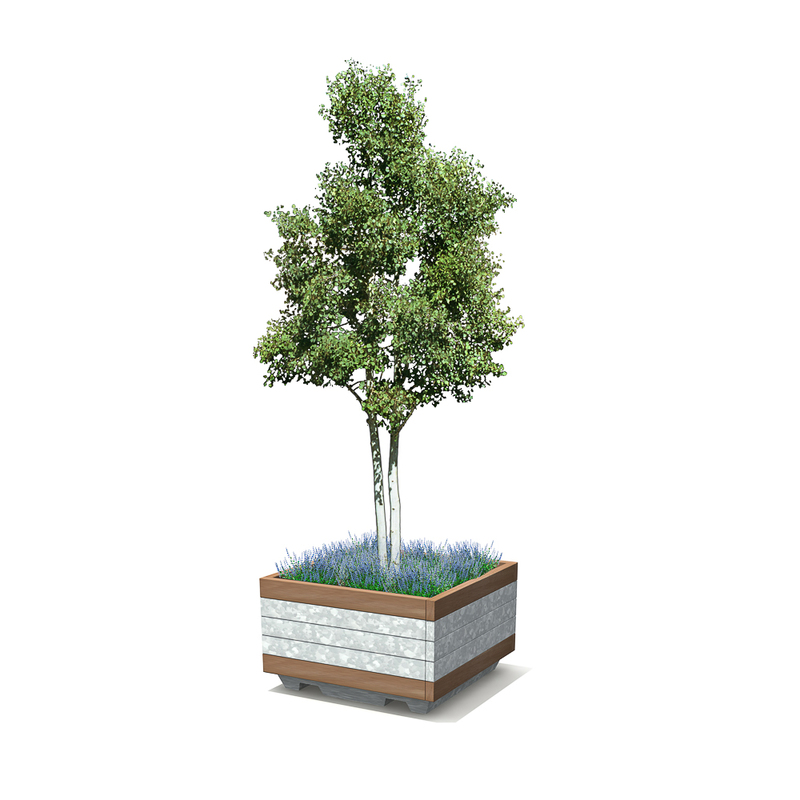 Rough&Ready is sturdy and robust, uses sustainable materials and creates a contemporary appearance. Available in square sizes of ca.150, 170, 200 or 240 cm | 59", 67", 79" or 94"